On Saturday, December 1, at 9:55 a.m., sixteen people were skiing and snowboarding on the southern end of Expert Chutes, an inbounds zone at Jackson Hole Mountain Resort, when an avalanche broke above them. In a matter of seconds the 150-foot wide slab with a 2-foot crown barreled down the slope, burying five skiers below. Without hesitation, onlookers immediately sprung into action and the ski patrol responded swiftly. Thanks to the cooperation and preparedness of the community and the resort, everyone was rescued without serious injury. “The response really says a lot about the local community, and it’s a testament to the amount of training and knowledge that our local skiers equip themselves with before they go into the mountains,” said Anna Cole, spokesperson for Jackson Hole Mountain Resort. Right after it happened, the slide was called in by two different parties as good samaritans and JHMR employees on the scene started to dig out the buried victims. The ski patrol arrived just 5 minutes after the slide and Avalanche dogs were on site just two minutes after that. Within that window, self-rescue efforts were already underway. After all buried skiers were uncovered and brought to safety, ski patrol continued to search the scene with a combination of avalanche dogs, a Recco device, and avalanche beacons. As an additional precaution, they set up a probe line all the way down the debris pile to ensure that there were no other victims that had gone unnoticed. By 11:20 a.m. the area was declared cleared. With their search finished, the team shifted their attention to continue avalanche mitigation for the remainder of the day. Day in and day out the Jackson Hole Patrol Dogs work alongside ski patrol practicing search and rescue techniques and are standing by to aid in rescue situations. All in all, the rescue was an incredible team effort between JHMR staff and the local Jackson community. One group who especially rose to the occasion was the Jackson Hole Ski and Snowboard Club, who made sure each and every one of their students was accounted for. The club’s coach Kevin Keane was one of the first responders to act swiftly and support the efforts of ski patrol when they arrived. “While the outcome could have been worse, this ended up providing a learning experience for all and shows the strength of our community - and some young athletes with strong character,” explained executive director of the club Brian Krill. The true silver lining was that nobody was seriously hurt in the incident. In general, inbounds avalanches are extremely rare. You’re more likely to get in a car accident while driving to the resort than to be involved in an avalanche within ski resort boundaries. Regardless of the odds, it’s a frightening reminder of what can happen. The National Ski Areas Association found that of the 168 avalanche fatalities recorded from 2010-2017, four were correlated to inbounds slides. While there has been a slight increase in avalanche-related fatalities in the past two decades, this rise is most likely a result of more people accessing the backcountry and changing weather patterns. The takeaway is there are inherent risks. It’s called avalanche mitigation, not avalanche reduction or removal because there are risks out of our control. Ski Patrol can diminish the danger, but it is impossible to fully eliminate it. Until this weekend, there hasn’t been an inbounds avalanche involving the general public at JHMR since 2008. The underlying cause of last week’s avalanche was a weak snow layer, created by early November snowfall followed by a long, dry period, causing it to facet. That weak layer was consequently loaded with heavy amounts of new snow in the days preceding the slide. In the 24 hours leading up to the event the resort had reported a foot of new snow on top of the seven inches they received on Friday. The Bridger-Teton Avalanche Center reported the avalanche danger to be Considerable above 7,500 feet that morning. A soft slab slide was not unusual, and early season snowpacks are especially tough on resorts. 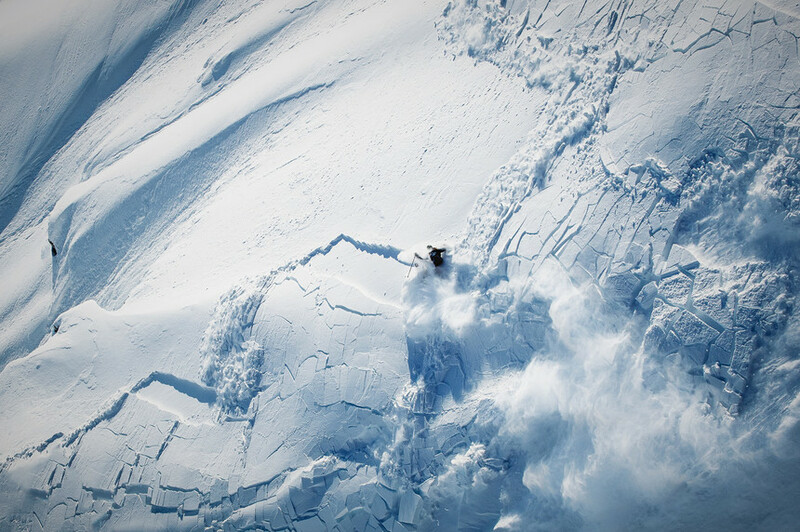 A close call for Nick McNutt while filming in Alaska. Our athletes are no stranger to the dangers of riding in avalanche terrain and preparation. Nic Alegre Photo. Despite the scarcity of inbounds slides, the JHMR Ski Patrol trains to be ready for the absolute worst. For them, avalanche mitigation starts with snow science. Long before December 1st, JHMR was already well-acquainted with the upper mountain snowpack. Patrollers had been bombing the zone since November 25th. When the snow unexpectedly slides, the strategy promptly shifts from mitigation to rapid response. “The result of this one shows that we were well-prepared,” said Cole. This was evident on Saturday, when ski patrol was at the scene within five minutes. At seven minutes avalanche dogs were onsite, and patrol had the scene fully cleared in just over two hours. To effectively react as they did, patrollers are always refreshing their skills with clinics and drills. Avalanche safety and response skills are important parts of their daily toolkits, which also includes medical training for many. 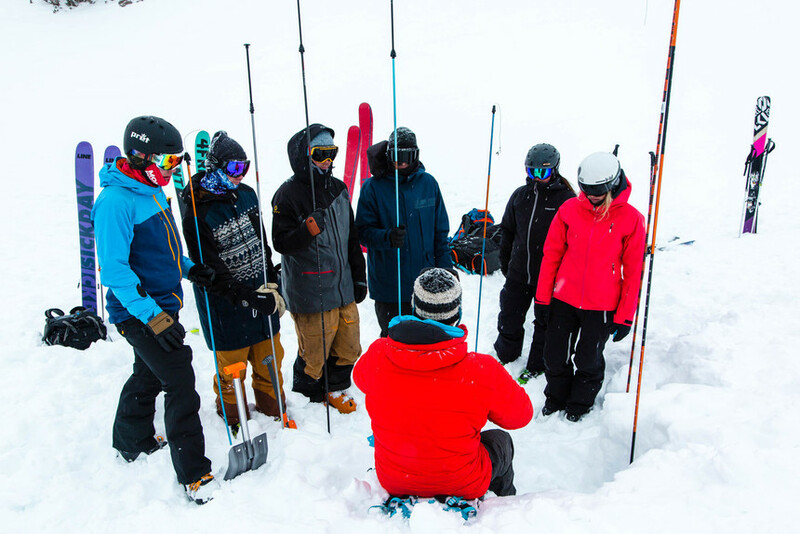 At the International Pro Rider Workshop, our athletes and production crews refresh their backcountry skills with some of the best professionals in the industry. TGR Photo. Preparation is pivotal for a resort that is home to 2,500 acres of skiable terrain and 4,139 feet of vertical drop. Safety is the top priority for JHMR and starts with an informed and systematic approach. This dedication to safety has fostered some of the finest ski patrollers in the industry. Their system has patrollers covering a series of established routes that they become familiar by skiing them everyday, sometimes over the course of seasons. It's a risk that Jackson Hole ski patrol accepts in order to become familiar and mindful of the nuances of each particular zone. The efforts of the community and the JHMR team combined for a successful rescue last weekend. While JHMR strives to mitigate avalanches as much as possible, the resort emphasizes the importance of having the appropriate safety knowledge when skiing in this kind of terrain. The “Know Before You Go” mantra can be seen and heard across the mountain, and the community and staff emphasize awareness and education. Jackson Hole offers extreme backcountry terrain and encourages everyone to enjoy it responsibly. Educate yourself, know your capabilities, and understand the consequences of your decisions before you head out. There are a variety of simple things - like skiing with a partner and having the right tools and knowledge when the worst happens - that contribute to a successful outcome in emergency situations. We encourage all of our readers to get educated and check avalanche conditions before they venture in or out of bounds. Please explore our Safety Week series, in which we sit down with our athletes, local guides, and snow scientists to understand the importance of safe travel in the mountains.